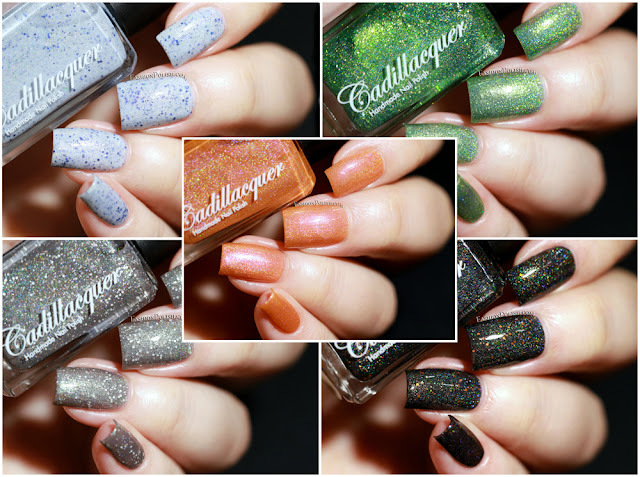 Fashion Polish: New at Color4Nails : Cadillacquer Halloween 2016 Collection swatches & review! 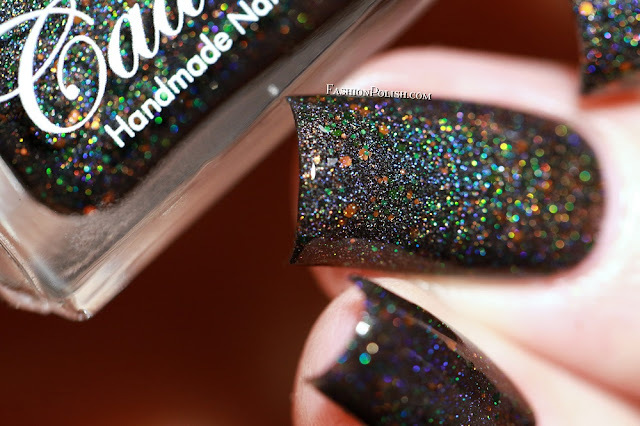 New at Color4Nails : Cadillacquer Halloween 2016 Collection swatches & review! The Halloween season is in full swing now and I'm back today with swatches of the Cadillacquer Halloween 2016 Collection! 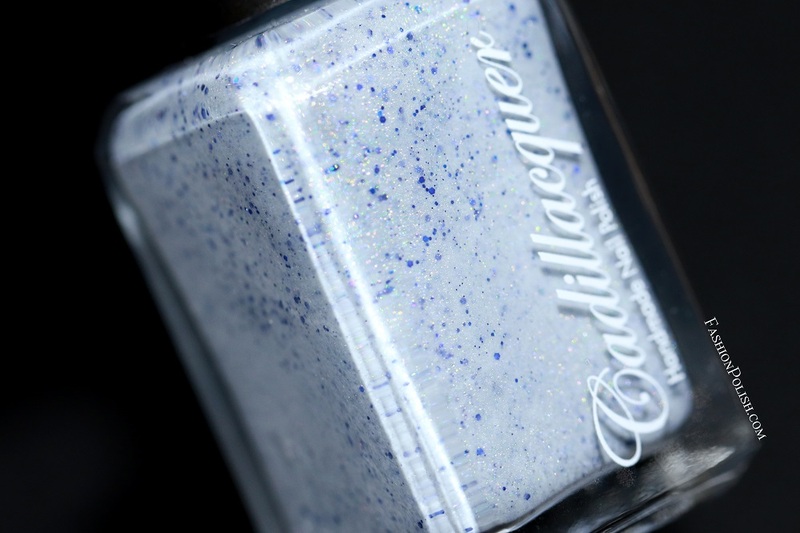 Ghost is a pale blue filled with holo microglitters and a mix of different sizes of blue glitters. The glitter ratio is just perfect, making it an easy 2 coater. I used 2 coats plus topcoat. Bones is a deep taupe with green shimmers, orange, black and holo microglitters as well as different sizes of white hex glitters. Such a complex and unique polish! I also used 2 easy coats plus topcoat in my swatches below. 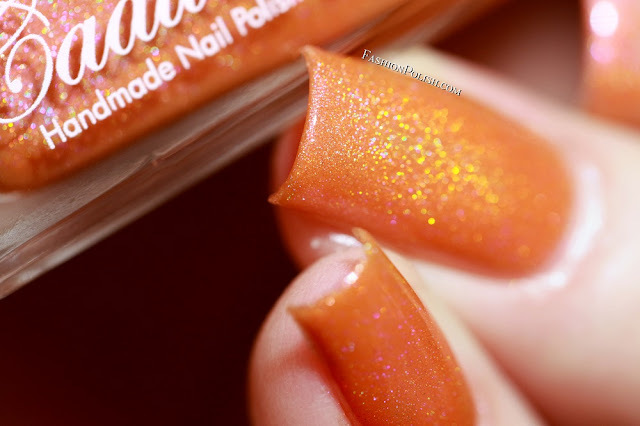 Pumkin is a beautiful orange holo infused with pink shimmers, perfect for Halloween! This one varies from pumpkin to bright orange depending on lighting conditions. Nice and easy to work with, I used 2 coats plus topcoat. Zombie is a heavy mix of green shimmers, gold flakes and holo microglitters. 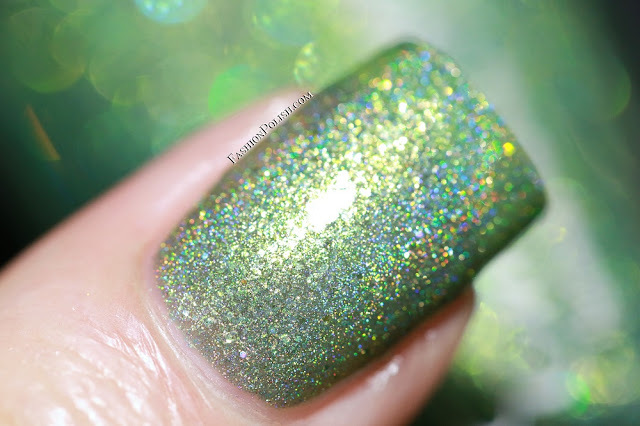 It looks like a pretty straightforward green holo from afar but you cant miss its complexity upon close inspection. I used 2 coats plus topcoat in my swatches but I'd say that it's a 2 to 3 coater. 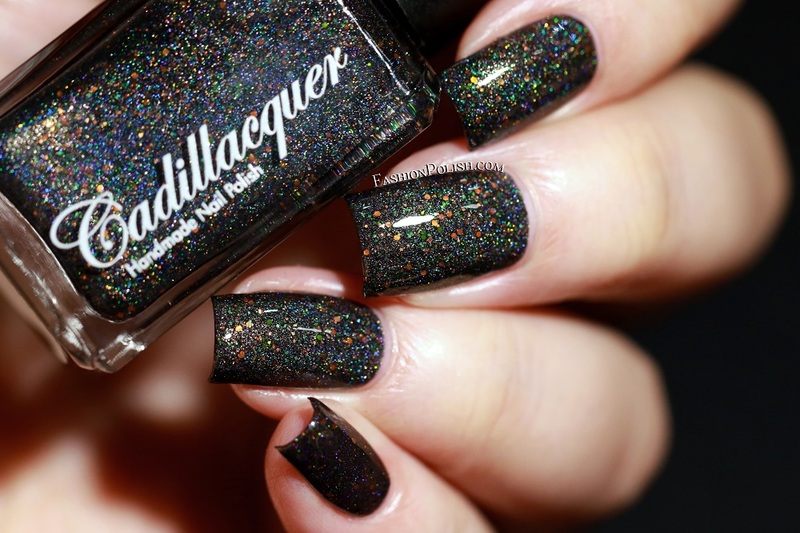 Devil is a black crelly packed with different sizes of green and orange glitters as well as holo microglitters. 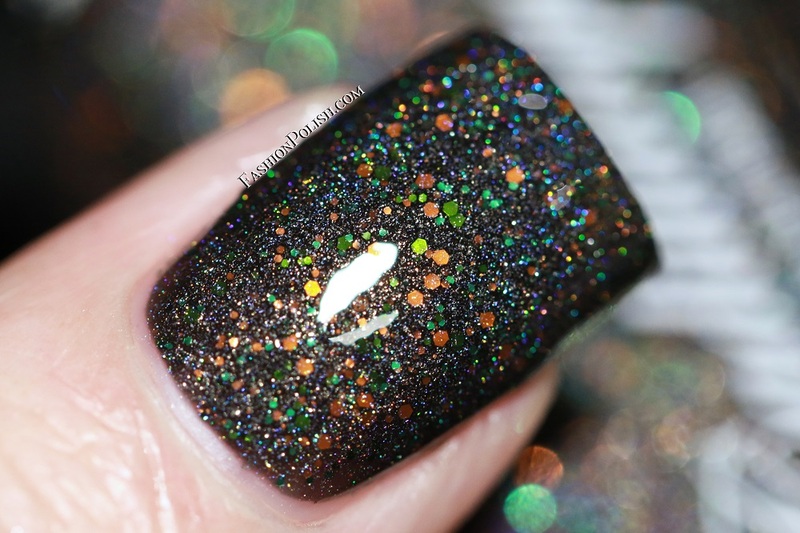 I love everything about this polish, it literally screams Halloween! Flawless formula and and glitter application, I used 2 coats plus topcoat. I love this collection as a whole but I have to say that Devil really left me speechless. If you haven't tried Cadillacquer in the past, you will love these! 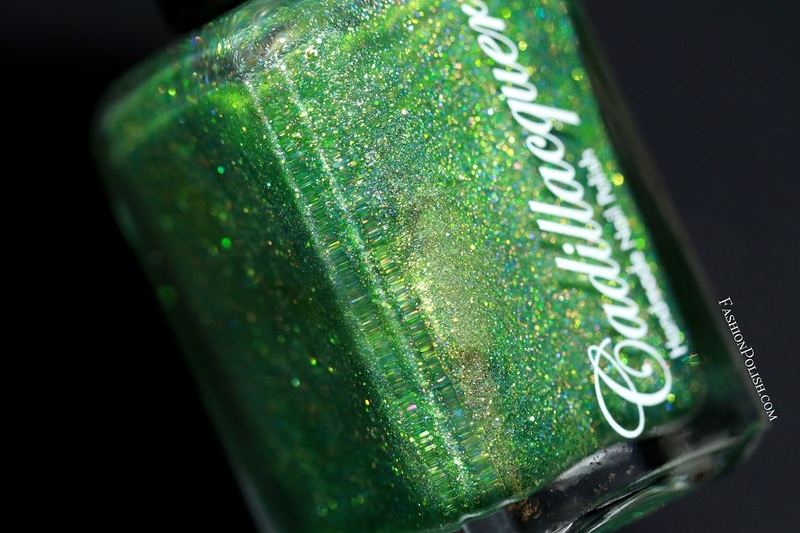 The Cadillacquer Halloween 2016 Collection is available internationally on Color4Nails.com. Individual colors retail for $13.50 each.